Powered by the Iridium NEXT satellite constellation, Iridium Certus serves as a multi-service platform, providing uncompromising coverage for various industry verticals. Low Earth Orbit (LEO) satellites combine with ultra-fast L-band to enable satellite communications anywhere in the world; even in the poorest of weather conditions. 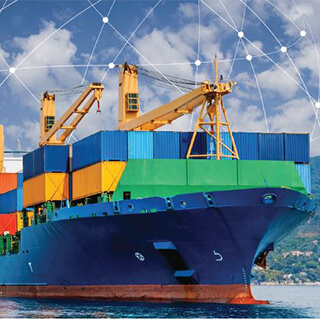 Its unique flexibility supports a wide range of voice, data and broadcast services, meeting the needs of today’s connected ships and vehicles. With a simple, adaptable and robust design, VesseLINK™ by Thales provides global communications coverage, whether you are a large fleet or a single vessel. Compact and easy to install, Cobham’s SAILOR 4300 is designed to endure the test of time and to withstand the harshest maritime environments. Your dedicated solution for automated file transfer and data sharing.